Did you ever send a clean fork back at a restaurant? morlll, shane8 and T Dizz like this. this thread is cold and has no flavor. No, I'll just stick with the water for now..
FenderBigot, Turi, Roark and 1 other person like this. Have you ever noticed silverware at restaurants is made out of the cheapest tin from China that you'd ever want to see? my first few courses at an uber-fancy restaurant where a bit unnerving as they took away silverware after each course that I hadn't even touched yet. as the meal went on I took on a "get that fork away from me, i'm sick of looking at it" attitude. A-Bone, Wolfgangsta and Big McLargehuge like this. Your way too close to the keyboard, tweedie. Get to work on those Ionian(s) or we'll be sending you back. "Excuse me miss, the guitarist is over-cooked"
I sent back a cup of coffee with a huge lipstick stain on the mug. I'm not an overly fussy guy, but that was a little too much for me. 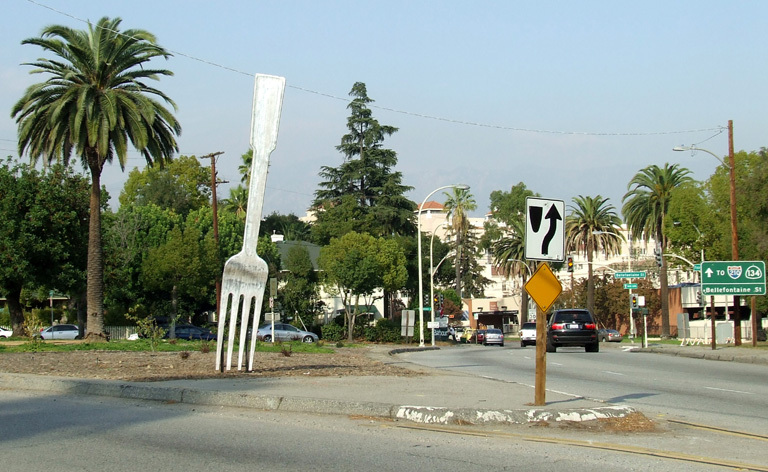 No, but I once saw a fork in the road. A-Bone and shane8 like this. Probably a good idea. A lot of times when you see bent flatware it's a consequence of having been flushed down the toilet. Nope- mom was with and she would not let me- it was a real mother fork(er). You don't know where that fork has been. Was it close to the Schlossen Cutoff? Send those clean forks my way. CRAIG4FSU, Peteyvee, A-Bone and 2 others like this. No flatware sent back by me.. However, for a couple years I waited tables in West Maui. Nice resort with many Japanese tourists.
" Lice hard rike stone "
Get bent, you dumb fork.... Have a knife day! I select the fork out of a bunch on the tabel with the tomato sauce ..... I like a straight fork.